I took Chunk on his very first train journey last weekend (which he LOVED) as we were invited to a crafting day with DryNites. 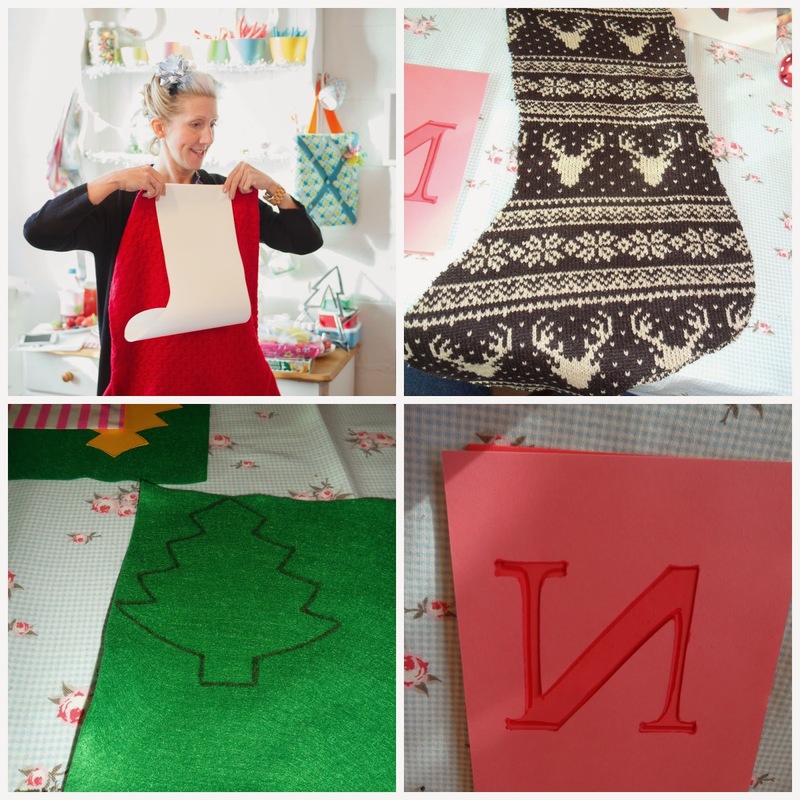 The BBC2 Great British Sewing Bee finalist Tamara Melvin hosted the event and taught us and three other mummy bloggers and their children to make some Christmas crafts that are designed to bring some grown-up touches to little people's bedrooms. I really enjoyed sitting making things whilst chatting to other mums about the joys of potty training. Chunk is at the stage of being interested when others around him are doing it, but then having days of not wanting to go near a potty. 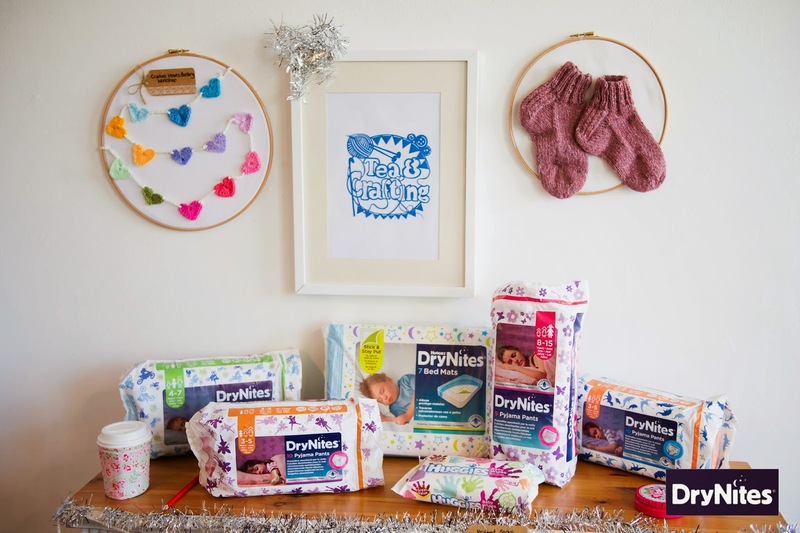 He is a big boy, so nights are becoming more difficult as we are having a few leaks from nappies, so I was pleased to hear that there are DryNites that are designed to hold a lot more urine to help stop this! Tamara, who has two children herself, said of these great craft ideas: ‘Christmas time is the perfect time to get crafty with your little one. The festive craft projects I have devised include a personalised Christmas stocking which your little one can leave for Santa at the end of their bed, and a decoration that they can make to hang in their bedroom window to give them an extra confidence boost at bed time." The Start of Our Stocking! 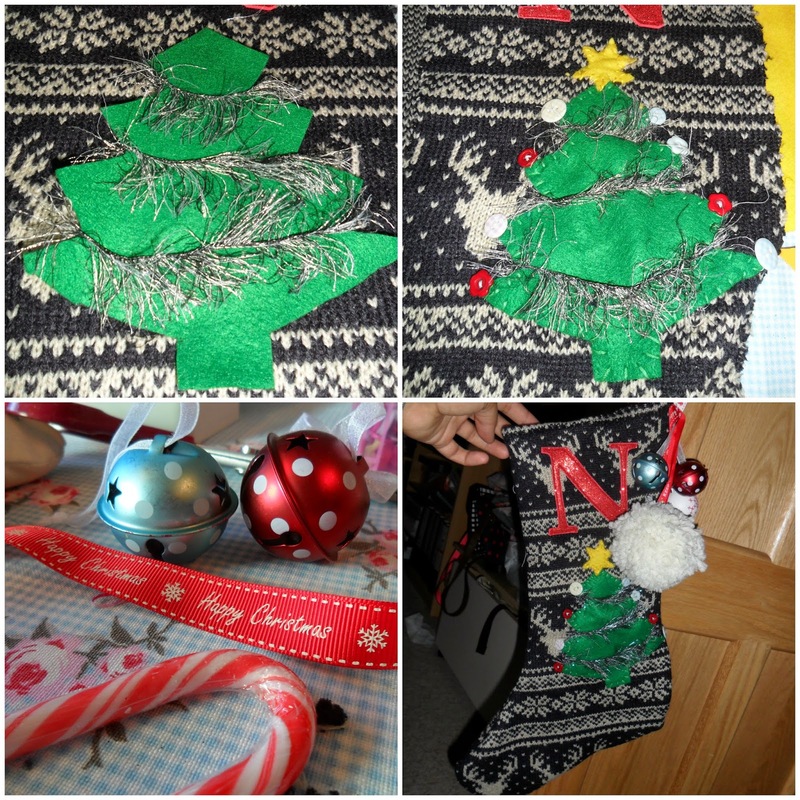 My favourite craft was making a Christmas stocking out of an old jumper, because you know how much I love my upcycling projects! It's been a few years since I attempted proper sewing (for good reason) but thankfully Tamara was a very good teacher! Chunk made the pompom which I was very proud of, and it took pride of place on the stocking of course. Here is Chunk's stocking and I've added instructions on how to make your own one, as these are surprisingly easy and quite gorgeous! I intend to keep using Chunk's one each year so it becomes a tradition he can look back on and maybe even do with his own children. 1. Start off by cutting your pattern as a template for the stocking. If you have an existing stocking you can use that to draw around. If not use a ruler and French curve to help to get the shape right. “Waffle” craft fabric works well instead of paper as it doesn’t tear and is more like a fabric. 2. Place your pattern piece on your jumper, choosing carefully which part of the jumper you’d like to use. Cardigans are a nice choice because of the button detail. Try to avoid V neck jumpers as there is generally less fabric to work with. Men’s jumpers work the best as they are bigger. Pin well as knitted fabric tends to stretch. 3.To make the initial on your stocking, open a word document on your pc/laptop and type your desired letter. Print it out and make sure it is the size you want to use on your design. Flip it over and place on your foam. Be sure to use the reverse side as you are drawing the shape on the back of the foam. Using a permanent pen, trace around the outline. This should seep through the paper to the foam below. Carefully cut your letter using small scissors or a scalpel. 4. Next, make your embellishment using the felt. You could use two items from your kitchen to make your snowman shape. It could be that you use an egg cup and a mug. Be creative and play around with what you have at home. Hand cut out a little hat and a carrot. Place your initial and snowman or tree on the front of your stocking. 5. Sew your initial and decoration by hand or with your sewing machine, taking it slow at the corners and curves. If you are hand stitching, use embroidery thread and make your stitches even. You could add buttons for eyes, a hand sewn smile and a ribbon scarf. Then, placing right sides together, pin and either hand or machine-sew both to create your stocking. Now you are ready to make your pom-pom decoration. 6. An easy way to make your pom-pom is to use a fork. Wrapping the wool around the “prongs” and then threading wool or ribbon in the central gap and gathering the hoops together. Keeping the pom-pom on the fork, snip the ends and fluff it out. Alternatively you can use a pom-pom maker which is just as quick, but you’ll have the option to make different sizes with this gadget. You could slide a bauble and bell onto the hanging ribbon or wool. Make a loop with the hanging ribbon and add the pom-pom and bell/bauble. Either hand or machine stitch this to the inside seam. Now you are ready to fill it with lovely things! I was invited to this craft event by DryNites. No payment was received and all opinions are honest and my own. Never thought of making a pompom using a fork. I have some wool and will make one today! Nice stocking too.